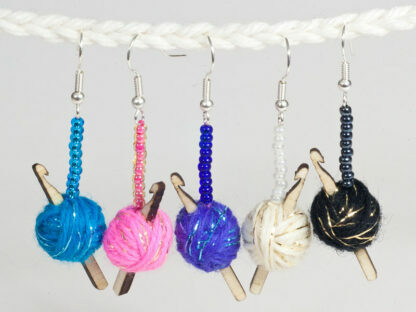 These handmade earrings feature tiny balls of yarn with little crochet hooks in them. 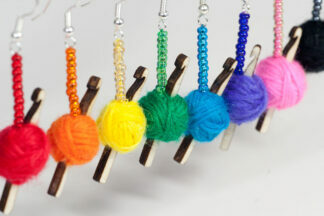 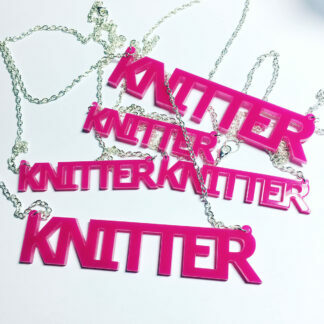 They hang beautifully on a string of sparkly glass beads. 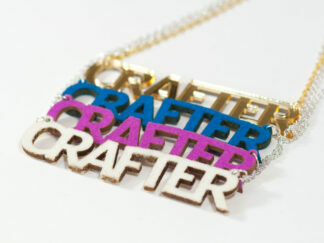 The hooks are lasercut from high quality plywood and sanded and varnished to a matt finish.